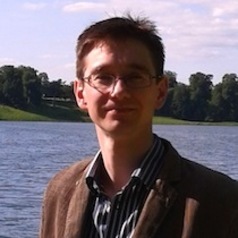 Charles West joined the Department of History in 2008, having studied at Cambridge, Birmingham, Oxford and Paris. His teaching and research concern earlier medieval Europe, roughly from the seventh to the twelfth centuries. His research has a particular focus on the Carolingian Empire, but as a result of his interest in the dynamics of change of the early medieval world, he has published on a wide variety of topics, including the cult of the saints, legal institutions, the nature of early medieval lordship, the formation of medieval principalities, the Gregorian Reform, the Second Crusade, and urban communities in medieval England. Charles has also published a comparative study of dynastic historiography in Byzantium, China and the Latin West, reflecting his conviction that British and European history can only be properly understood in a broad comparative context. Along with Julia Hillner and Jane Rempel, Charles is a convenor of the MARS seminar series, and is on the board of the MARCUS research centre.